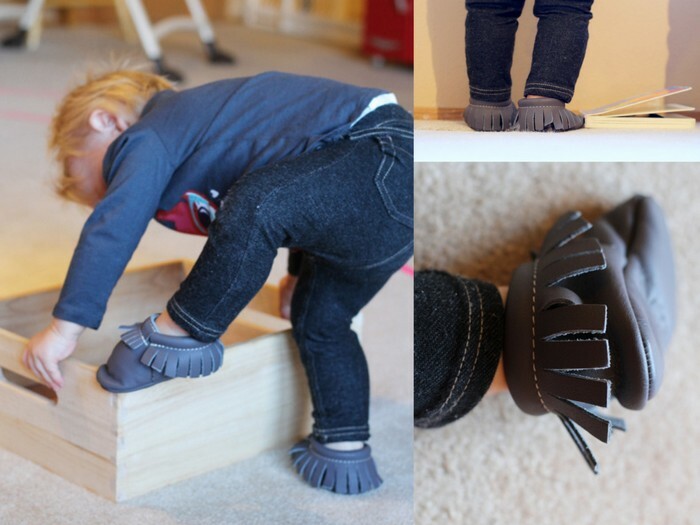 *The Curly Cues*: Freshly Picked Moccasins Review and GIVEAWAY! Freshly Picked Moccasins Review and GIVEAWAY! Update: This giveaway has closed and the winner (Instagram user @ttapiatt) has been contacted. Thank you to all who entered! If you didn't win, don't fret! You can get your moccs at a discount with Freshly Picked's Black Friday sale, watch their website for details! 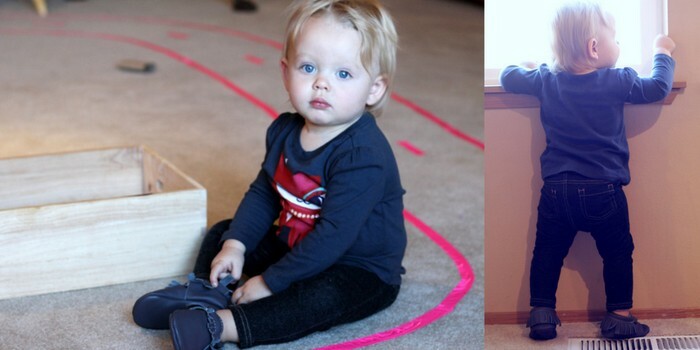 I have been a huge fan of Freshly Picked moccasins since they started popping up on stylish kiddos in my instagram feed a couple of years ago. Susan started this business as a young mom with a small budget and big ideas. Now her shoes are seen on celebrity kids all over the pages of US Weekly, so I have to say when they were not only willing but excited to work with me, I was over the moon! I chose to review the smoke colored moccasins because I have a thing about grey, plus they go with everything, but there are SO many colors to choose from and fun seasonal releases all the time. I NEED THEM ALL MAKE THEM IN MY SIZE! Stefanie, who has been my contact through all of this, was so helpful with sizing (see there printable sizing chart) and gave great recommendations so I ended up with a pair that fit my sweet Mila with room to grow! I know I am biased on how adorable I think my children are, but look at her little feet (nom nom nom). These shoes seriously live up to the hype. They fit great, stay on, are durable and adorable. Apparently they are also comfortable because I keep finding Mila trying to put them back on by herself. All of this is to say we loooooove them and I wish wish wish I could win my own giveaway, but alas that is unethical or something. However, YOU can win your very own pair of Freshly Picked moccasins in your choice size and color. There are five ways to enter and you can do any and all of them! 1. INSTAGRAM. Follow @thecurlycues and @freshlypicked on Instagram. Repost the giveaway picture from my feed (you will know it when you see it), tag @thecurlycues and hashtag #freshlycues. You do not need to comment here that you have done this. If you have followed me, tagged me, and used the hashtag, I will see your entry. Enter this way once a day if you like! 2. FACEBOOK. Follow The Curly Cues on Facebook and leave a comment here on the blog telling me you have done so. 3. BLOGLOVIN. Follow The Curly Cues on Bloglovin and leave a (separate) comment here on the blog telling me you have done so. 4. FRESHLY PICKED WEBSITE. Visit Freshly Picked and leave a (separate) comment here on the blog telling me what color you want to get if you win! 5. TWITTER. Follow @thecurlycues on Twitter and tweet about this giveaway (please include a link to this blog post). You do not need to leave a comment here, if you follow and tag @thecurlycues in your tweet I will see your entry. Enter this way once a day if you like! Phew, that was a lot! This giveaway will run through Friday, November 22nd at Midnight. Enter away, and good luck! I follow on FB (Aleisha Rust), I would pick either Fools Gold, Grape or Bronze!! LOVE them all!! I have always wanted a pair of these! I follow you on Bloglovin' DUH. There are so many I want for Ben...I LOVE the "grass suede", "elk hide" and "chocolate". AH, LOVE! I follow on Bloglovin! So excited about this giveaway, thank you for the chance! I can't even decide! Either Cobalt suede, Prince George or Elk hide! Love! I want to get my little guy the weathered brown moccs! I follow on FB under the name Cortney Tackett! I would get the Prince George. It's such a hard decision though! I love the smoke also. Great Giveway and thanks for the chance to win! I'd for sure pick the chocolate moccasin. I now follow you on Bloglovin. My Bloglovin URL is http://www.bloglovin.com/lavonnelong. Ooooh, it's a tough choice between the Platinum and the Bubblegum Pink Suede. duhz i follow you on fb. i'm obsessed wirh the mint and blush colors!! I want one of each, yup. I like the Curly Cues on facebook! I follow you on Bloglovin' as shelleygajus. I would probably get the ebony, or smoke, but I have about 6 third choices, it is so hard to decide! I follow you on twitter as @aussieshells. I would pick Prince George! ooohh...you can never have enough. Parker grew out of her first pair so I'd love to replace them with platinum! I've been dying for Oliver to have the Ox blood or Weathered brown. They are all gorgeous though! Would love the weathered brown for my little guy! I love the platinum! Seems like it would match every outfit! But the rose is beautiful too!!! Followed, tweeted, liked and instagrmamed! I want the frosted rose! Or the ebony which is the black.